The hardest part of a divorce is not the legal part. That’s a drop in the bucket. Getting emotionally divorced. That’s the kicker. Trying to move through anger, that can so easily turn into bitterness. Perhaps watching your partner make changes that you have been begging them to make. Maybe having to handle your partner beginning to date quickly. Sadness, from feelings of personal failure. Helplessness or guilt, from watching your children trying to cope. Fear, from new worries, perhaps financial concerns or just being alone. Confusion, as your friends and family try to be supportive but their lives go on as normal. You might lose friends who “side” with one or the other, especially if the divorce is highly conflictual. Others try to stay friends with both, but there is perhaps now an awkwardness that didn’t exist before. Working through all these feelings is complicated. It takes time. Lots of it. Facebook and other social technology? Probably not your friend while you are going through this. 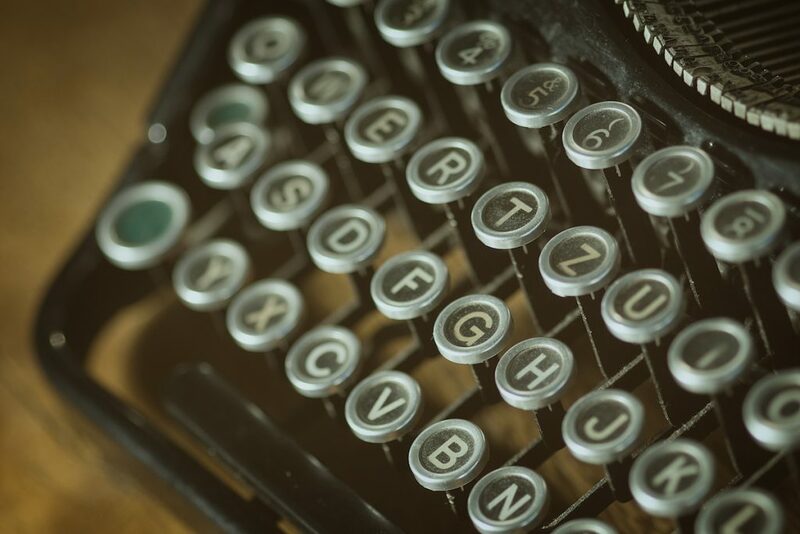 There was a great post on this in the Huffington Post. The author unhooked from Facebook after her divorce to get more real-time support from her friends. I think that’s a point very well-made. 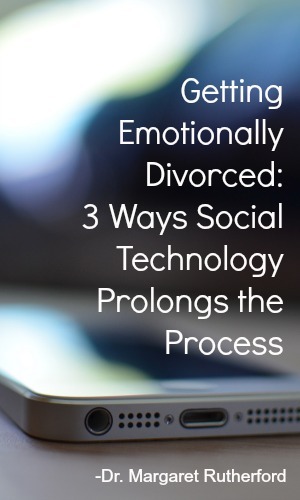 Why should you be wary of all our techie tools when getting divorced? 1) It’s too easy to become obsessed with your ex. Knowing things about them through social media prolongs the process of letting go. Seeing mutual friends “liking” pictures of them with the man she had the affair with? That stings. Instagram photos of places he is going that you always dreamed of seeing? Stinks. It’s much healthier to focus on your own healing. If you have been “blocked” on Facebook for example, it probably means that your divorce is not amicable. You of course can get access anyway – through friends of friends. It can become an obsession. Like you are a detective following leads about your ex’s life. Not good. It’s going to be a rough enough ride without making it rougher. 2) It’s hard to contain your emotions. Remember all the emotions mentioned above? Any one of those is tough to get through. Whether through texting, private messaging or more public Facebook posts, it’s difficult to not use any and all forms of communication to make your point. Just one more time. And it’s so easy. So convenient to have a reaction to something. A quick text. Then boom. Got your feelings out. But you also may have created a little more chaos that will have to be cleaned up. Once again. It’s hard to let go. Especially if there’s not a sense of closure that seems fair. Sometimes that just doesn’t happen. Failure feels terrible. You can accept it and go on. 3) Learning how to communicate appropriately should be the focus. Especially if you have kids. It’s hard to be arguing with each other at 1:30 am via text, then see each other at a parent/teacher conference. Try to be cordial. If you are struggling with painful emotions, (and of course you are, you just got divorced), you are doing well to set those aside. Try to make some good decisions with your ex about the children. Try, especially in front of the kids, to be respectful. Continuing the same fighting that was occurring during the marriage is just not helpful. You didn’t fix it then. You are probably not going to fix it now. 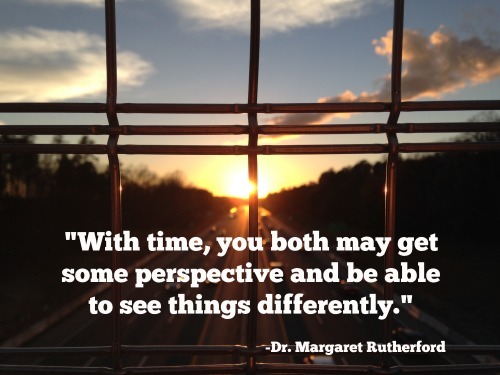 With time, you both may get some perspective and be able to see things differently. To emotionally divorce? It can take a while. When it is done, when you are truly detached, it feels wonderful. Maybe a little sad at times. Maybe even better than you were before. I would love to hear your comments about how you either struggled with emotionally divorcing or how you managed to get through it! Maybe you have some ideas that would be helpful to others. 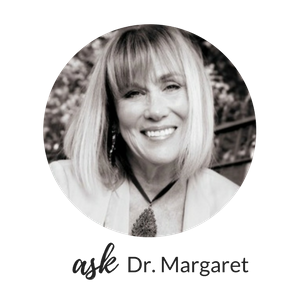 You can do that either through commenting below or privately emailing me at askdrmargaret@146.66.99.73! As always, thanks for reading!